With Anchore you can subscribe to TAGs and Images to receive notifications when images are updated, when CVEs are added or removed and when the policy status of an image changes so you can take a proactive approach to ensuring security and compliance. Having the ability to stay on top the notifications above allows for the appropriate methods for remidiation and triage to take place. One of the most common alerting tools Anchore users leverage is Slack. 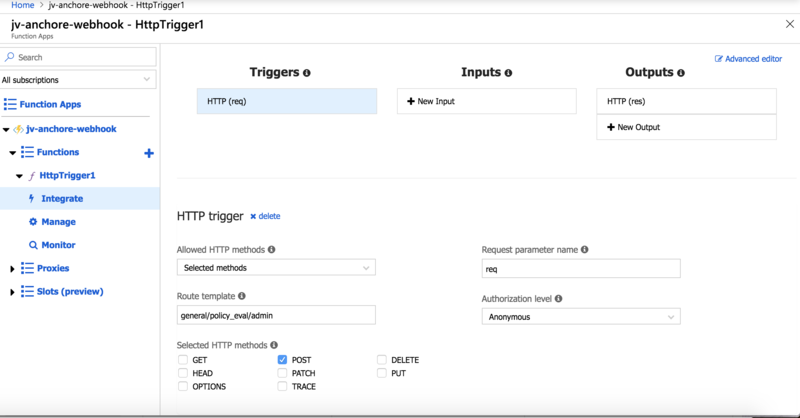 In this example, we will walkthrough how to configure Slack webhooks to receive Anchore notifications. We will consume the webhook with an Azure Function and pass the notification data into a Slack channel. 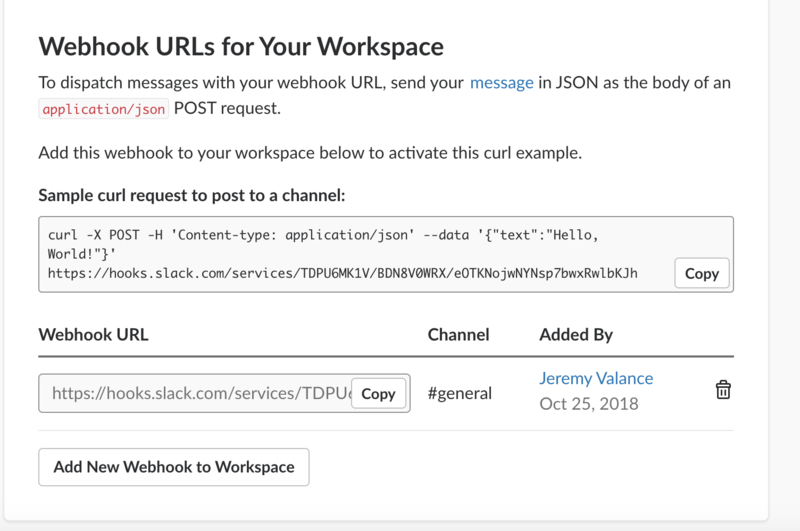 Configure incoming webhooks to work with the Slack application you would like to send Anchore notifications to. The Slack documentation gives a very detailed walkthrough on how to set this up. 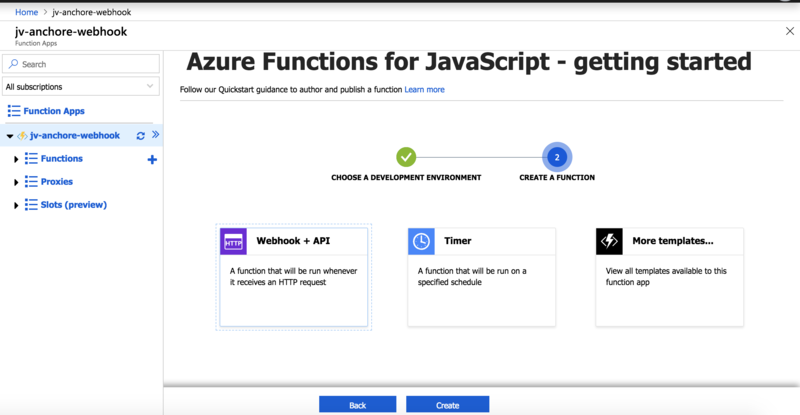 Once the configuration is complete, you will need to activate a subscription, you can follow the documentation link above for more info on that. I kept this as minimal as possible in order to keep it open ended. In short, Anchore will be sending out the notification data to the webhook endpoint we’ve specified, we just need to write some code to consume it, and then send it to Slack. Quick note: In the example, the alert to Slack is very basic. However, feel free to experiment with the notification data that Anchore sends to Azure and configure the POST data to Slack. In my example, I’m going to swap between two policy bundles and evaluate them against an image and tag I’ve subscribed to. The easiest way to accomplish this is via the CLI or the API. 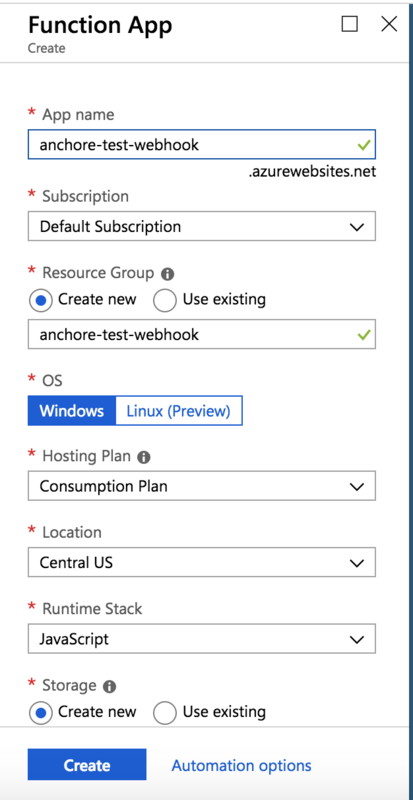 Once Anchore has finished evaluating the image against the newly activated policy, a notification should be created and sent out to our Azure Function App. Based on the logic we’ve written, we will handle the request, and send out a Slack notification to our Slack app that has been set up to receive incoming webhooks.